"A tangy European style dipping sauce for french fries." In a small bowl, stir together the mayonnaise and salt. Stir in vinegar 1 teaspoon at a time until you reach a your desired consistency. Chill for 1 hour before serving. Excellent! Years ago my husband got me hooked on dipping fries in mayo - who knew? Well, the addition of red wine vinegar was great and gave it such a nice tang! Great recipe! That is off the mark! I used malt vinegar instead. This was good, pretty much like a salad dressing. YUM! I couldn't believe how good this was. I will be making this a lot from now on. Wow!! This is amazing. 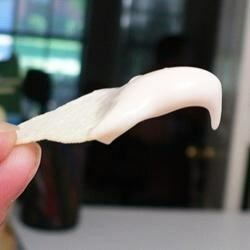 I can't believe how much flavor the vinegar gave the mayo. I dipped it in frys. I think this would be good on fish. It tastes like a malt vinegar. Thanks for posting. Easy and just verry good!